The nametag is a feature in Instagram, which allows the users to add people more efficiently, the user just has to scan the nametag, and the dedicated profile will appear. If the user wants to set its own badge then he or she can do by going to the pattern and clicking the menu icon, you will be able to see the nametag of your profile. You can customise the nametag by however you like. To scan someone’s nametag, you can go to the profile and there will be an icon at the top right side of the screen from that you can browse the nametag. The good thing about nametag is that it allows the users to gain more followers, there are few tips that you can try by using the nametag to increase the followers. The first tip to use the nametag is when you are in any type of event or function where people are communicating with each other. In this type of situations, you want to sometimes try to know about someone’s presence in social media platforms especially Instagram, so for this through nametag it is easy for followers to scan the nametag and add each other. It is just that easy, no more telling your username when you can just quickly scan it. To get more following, buy real active Instagram followers while checking reviews online. Another way to use the nametag is when you are in a conference or big corporate events. At that place, many brands and businesses participate. These brands and companies come along with banners and flyers to represent their brand or business. As social media is the main thing now, so every brand and company share the usernames of their social media accounts. For this, the user can just scan the nametag from the banner or flyer and add that brand or business to their profile. If you are running a brand and you deal with printing flyers, T-shirts, stationary or anything like that, then you can always share your brand’s Instagram username by printing it on the products. This will help you to increase more followers, people will know about your presence in the social media platforms. Users will be able to scan the username from the products quickly, find you and can also add the brand’s profile instantly. The fourth way you can use the nametags is by attaching the usernames within emails which you send almost every day, this will help the followers of yours to add your Instagram profile by just scanning the nametag. The last way the user can utilise the nametag feature is by signing it in physical locations where the people can be able to see it, and they can scan the nametag. 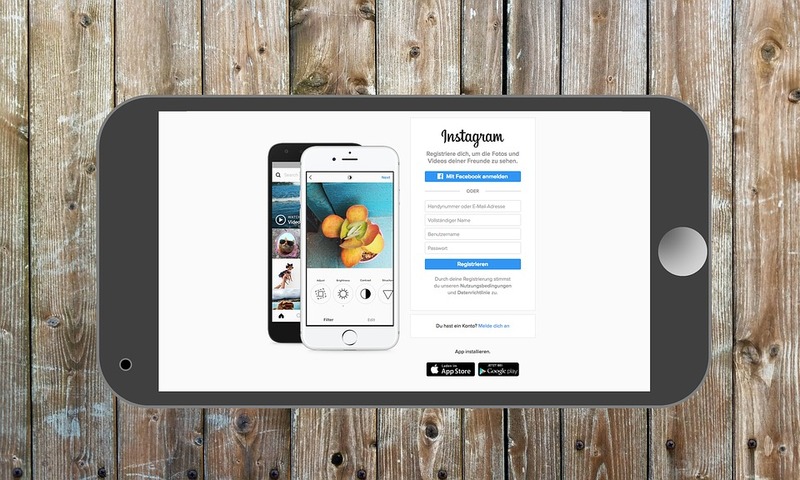 Your brand stores are the best example where you can share your Instagram username where the consumers can come and quickly scan the nametag which will help you as a brand owner to increase your audience and as a consumer it will be easy to find your favourite brand on Instagram.